When you’re a blogger, there is a lot that you have to worry about. 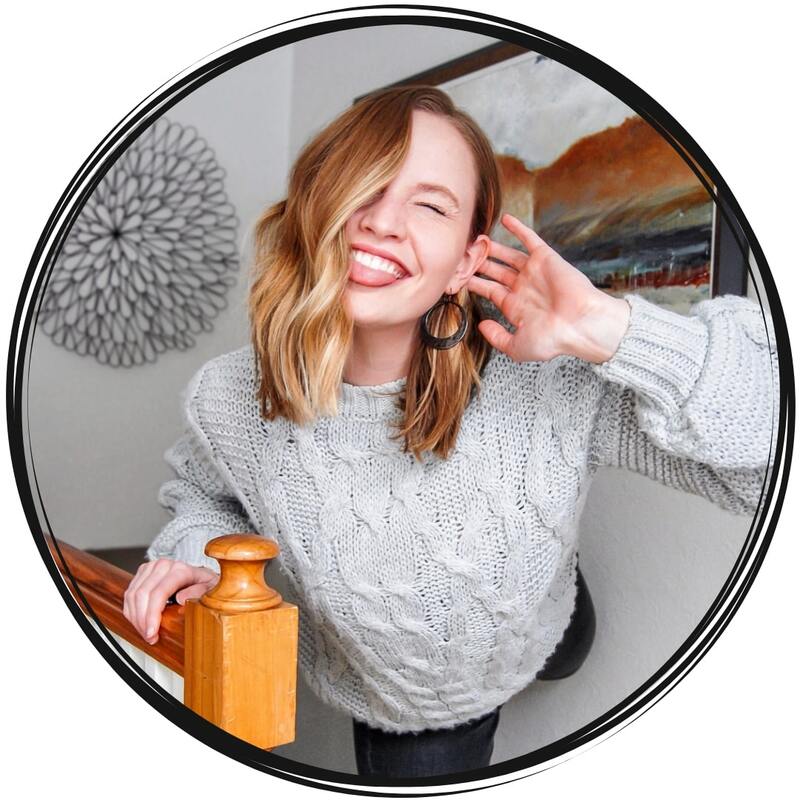 From taking and editing pictures to writing amazing blog content that your readers actually want to read… there is a lot to do! And don’t even get me started on trying to monetize your blog by talking with companies and ironing out deals. Being a blogger is a full-time job. And it’s often looked at as something that’s done for fun and not taken seriously as a career! It’s terrible. And trust me, I get it. So today, I want to help you out a little bit. It seems as though SEO is one of the things that often gets put on the back burner when it comes to growing a blog. You focus so much time on networking and social media that it seems like that is the only way you will ever get traffic to your site. With Search Engine Optimization, you can help your blog to grow organically. Without you even having to worry about it! So if you can give up an hour of your time to stop the promotion and work on your SEO, you’ll set yourself up for a long-term success! Now let’s go ahead and dive into some common SEO mistakes that you’re probably making on your blog. I’m going to guess that you’ve read other articles about how to SEO your blog, right? Well, have you ever heard of this one before – that you have to tell Google that your website exists? 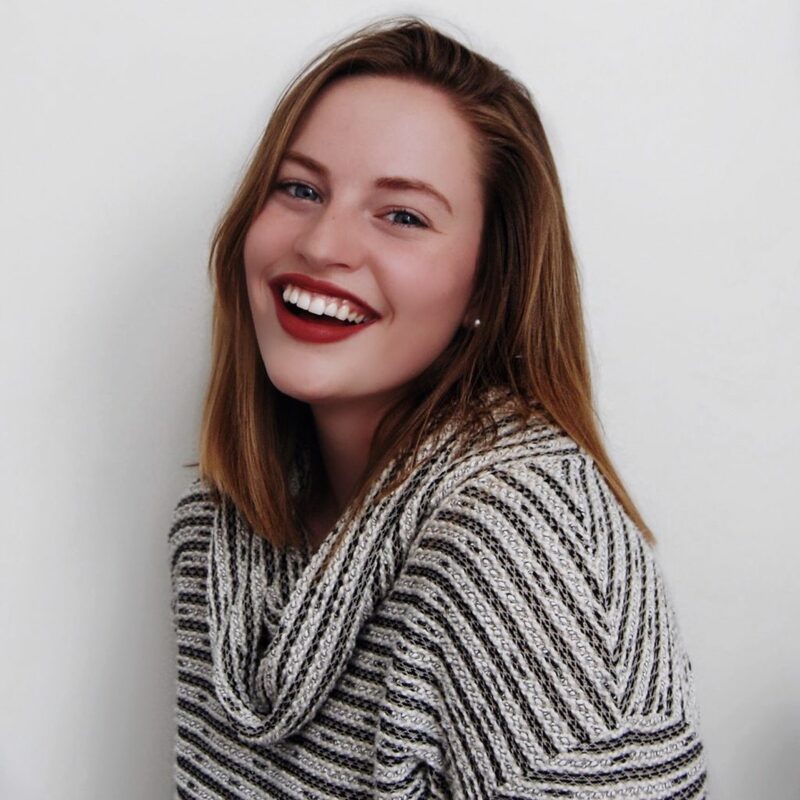 If you’ve been following TheContentBug for awhile now, then you’ve definitely heard me talk about this. But in a lot of other articles about SEO, this is one of the most overlooked steps to your SEO strategy. They will talk to your about keyword research and placement. Maybe even tags. But they won’t tell you the very first step that you have to make. And that’s to tell Google that your blog exists! Now I’m not going to waste too much time talking about this here because I have a full blog post that outlines the exact steps you need to take. So go ahead and learn more about Google Search Console. With Google Search Console, you have to upload your robotos.txt file and your sitemaps. Each of these 2 things serves different purposes. But they are both required to give Google the information that they need! Once your website is set up with Google Search Console, you will be able to tell how many pages you have indexed on Google, what keywords you appear for, and your search analytics. It’s pretty neat! So just make sure that you go tell Google that your blog exists, okay? If you have a WordPress blog, then you might already have the Yoast SEO plugin. And if you don’t, then you need to install that right now! It’s critical to your SEO success! But that’s not the common SEO mistake I want to talk about here. I want to talk about not filling out the Yoast SEO section at the end of each page and each post on your blog. 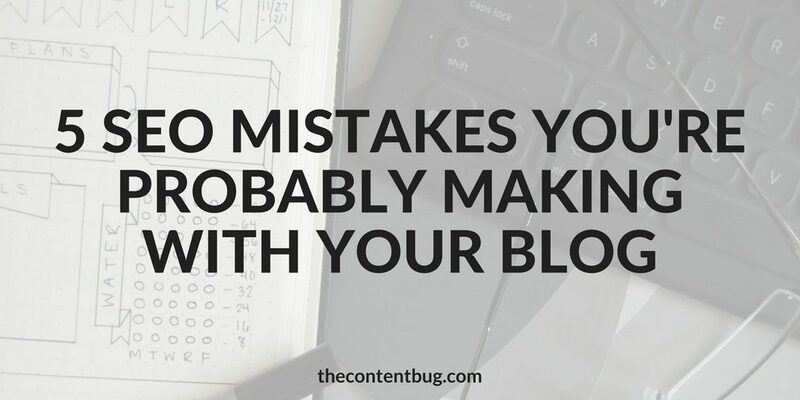 When you write a blog post, do you write it, edit it, and then publish it without worrying about SEO? At the end of the blog post, if you scroll far enough, you will notice that there is a Yoast SEO section that asks you about the SEO title, meta description, slug and focus keyword. And then it rates you based on your SEO. If you didn’t know that this section was there, then maybe you noticed in the top right section where you hit the Publish button that you constantly have a gray or red dot next to the Yoast SEO icon. 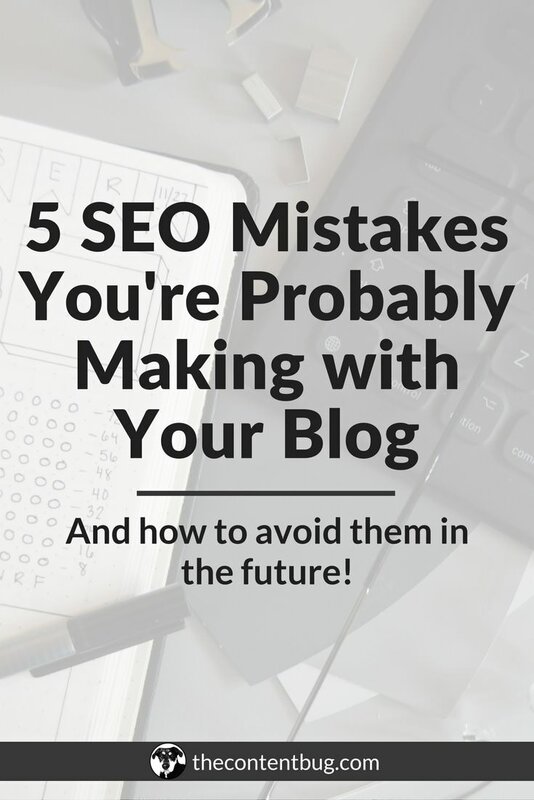 This is because you never took the time to fill out your SEO snippet! And without filling out this snippet, you are actually making Google do more work to find out what your page or post is about. You always want to help Google where you can. And that means filling out this snippet! It will take you less than a minute but will make a huge difference! Ah, plugins. These are some funny things, aren’t they? Plugins allow us to do a variety of things with our blogs. And depending on the plugins you have installed, you can really create a website that is one-of-a-kind. But did you know that having too many plugins may actually be hurting your SEO? With each plugin you add to your website, you are adding more “weight” to your website. And the more weight you have, the slower your website will be. And the slower your website is, the worse off your SEO will be! It’s really a chain effect. But site speed is one of the most important factors that affect your SEO. So if you can do anything to improve your site speed, you better do it! And in this case, that means no overloading your site with plugins. Now there is no exact number of plugins you should have on your website. But I would recommend using no more than 15 plugins on your website. And when you go to download a new plugin, make sure you read the description. You want to see that the plugin was recently updated and that somewhere in the description it says that it is “light”. This means that it won’t slow down your site by its size! The “lighter” the better. When it comes to blogging, the images on your website are just as important as the content that you write! So they better be impressive. But before you upload them to your website, make sure that you compress them first. The size of your images is likely to be pretty large. And when you upload large images to your website, you actually slow down your site. And you already know that a slow site is bad for your SEO! This is also important when it comes to Pinterest! If the images for your pins are too large, they will not appear on Pinterest. Instead, you’ll see a gray space with text about the image at the top left corner. 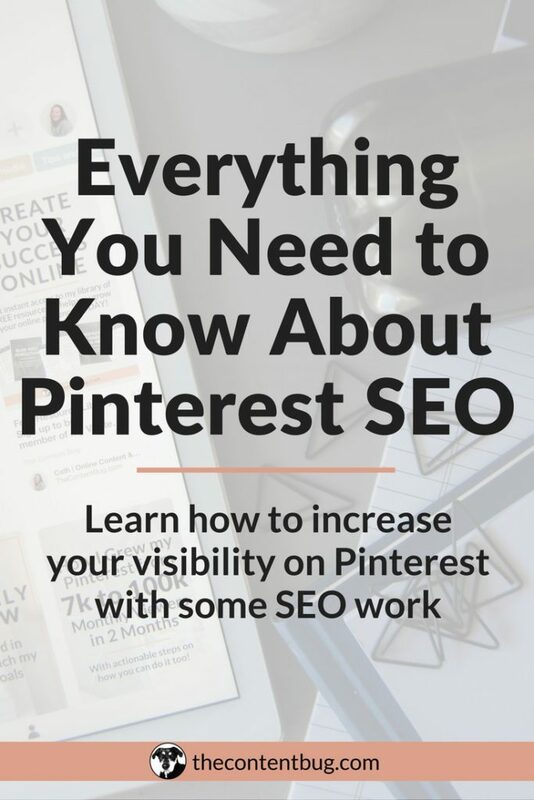 So compressing your images is pretty important for SEO and for Pinterest SEO as well! I like to use JPEGmini. It’s easy enough and it doesn’t ruin the quality of your photo. It just shrinks the size of the file. And if your image file is really large, feel free to run it through the platform a few times. You want to get it to the smallest size possible. 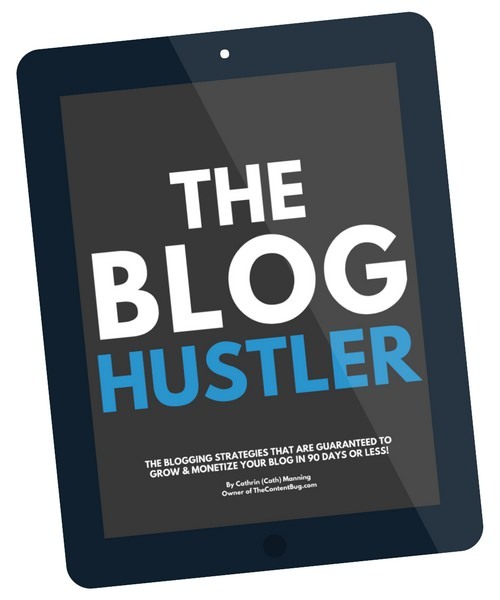 The longer you’ve been a blogger, the more you will be able to watch yourself grow. And when you look back at your older work, you will laugh! And that’s okay. I would actually encourage it. If you are ever feeling down or confused about what you are doing blogging, just look back and see how far you’ve come. And remember that you are darn impressive! But when you look back, don’t delete your pages or blog posts because you are embarrassed. This is actually bad for your SEO! When you delete pages or posts, you most likely leave broken links throughout your website that leads to those pages. And having broken links on your site is a bad thing! This also will confuse Google. When a page was there yesterday but is no longer there today, they will get confused! So it’s better to just leave those pages on your website. Stop linking to them, and maybe even change old links that lead to those pages. When you stop driving people to those pages, they will become archived on your site. And they will soon be forgotten and rarely ever visited! So if you’ve learned anything from this article, let it be that you shouldn’t delete old pages or posts. Simply let them fall into the shadows on their own. This was a much shorter blog post for me. Recently, I’ve been writing a lot of information! But I wanted to give you 5 things that you can check yourself on today to see if your blog is up to SEO best practices. 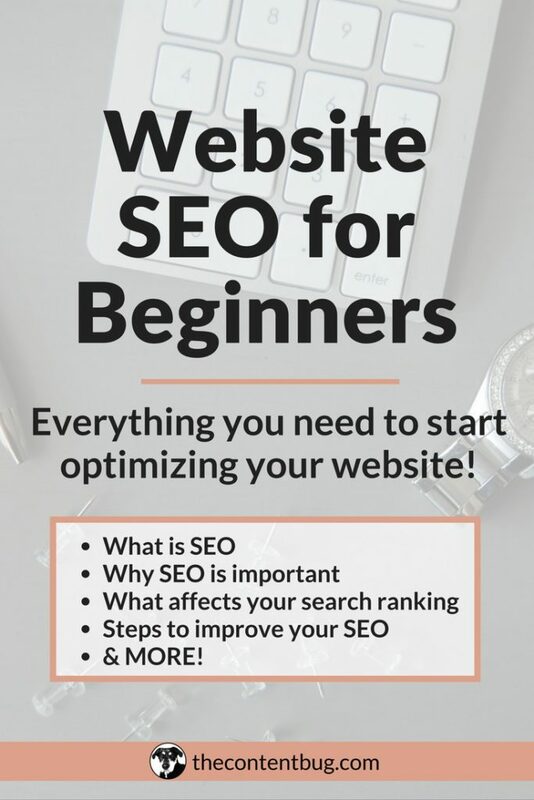 Now, I do want to say that this is not everything you need to know about SEO! There is a lot more you could do to improve your blog’s ranking. So keep scrolling and you’ll see a Keep Reading section right below this. That has some other helpful blog posts that can help you learn more about SEO. 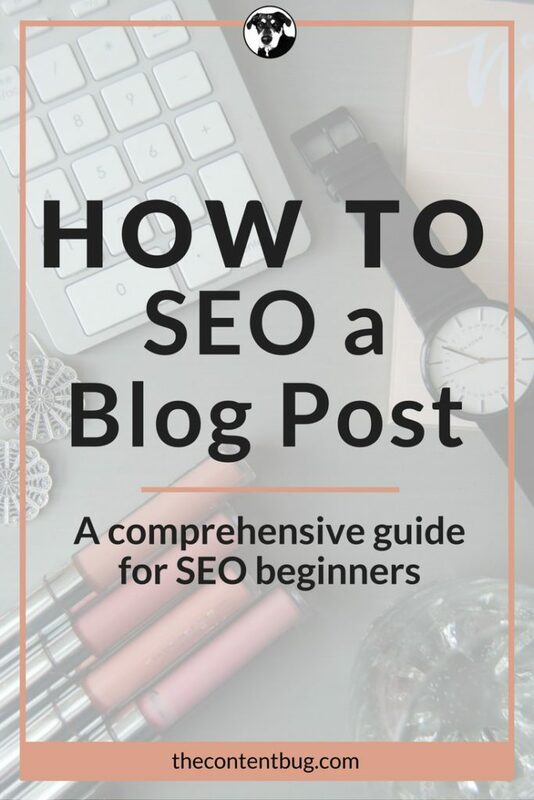 And some posts even contain guides and the exact steps you need to improve a certain aspect of your SEO. But while you are reading these articles, don’t get discouraged. SEO is complicated. And it’s much more advanced than what we’ve talked about in this post. But if you start working little by little, you can start to tackle your SEO. And if you have any questions, make sure you leave them in the comments section down below.